The India Aspiration Fund has been cited by the United Nation as an example of how government policies can support the development of the digital sector. 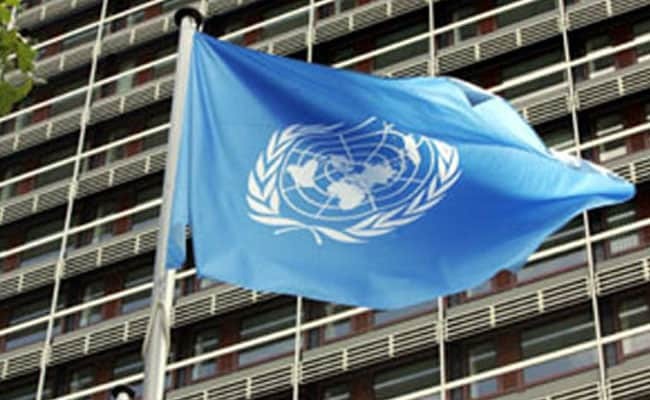 United Nations: A fund launched in India for boosting start-ups and entrepreneurship has been cited by the United Nations on how government policies can support investment in services and development of the digital sector. The World Investment Report 2017: Investment and the Digital Economy, released by the UN Conference on Trade and Development (UNCTAD) cited the 'India Aspiration Fund' to say that government policies can actively support investment in local content and services and in the development of the digital sector through several interventions. The report said that "India has created the India Aspiration Fund, a so-called 'fund of funds' with US $306 million to invest in private venture capital funds in order to expand the pool of, and boost, Indian entrepreneurs." The India Aspiration Fund, part of StartUp India initiative, was launched with a corpus of Rs 2,000 crore by Finance Minister Arun Jaitley in August 2015 to enhance the equity availability to Micro, Small and Medium Enterprises. The report also called for creating an enabling framework to foster other innovative sources of funding for digital firms, thereby overcoming domestic capital market constraints to growth. The report also noted that the need for digital economy investment policies, modernising or complementing analogue-era rules is illustrated by India's investment policy, which has long restricted foreign investment in the retail sector, allowing FDI in wholesale but not consumer retailing. To maintain this policy, India had to adopt certain restrictions on direct internet sales to consumers by companies such as Amazon, as well as investment measures in 2016 that allow FDI in electronic marketplaces - online platforms for merchants - but not in e-commerce companies that manage their own inventory. It further noted that India amended regulations to further liberalise and rationalise the investment regime for foreign venture capital investors and to encourage foreign investment in start-ups. "In June 2016, the country also introduced another comprehensive FDI liberalisation strategy, raising sectoral caps in different industries, bringing more activities under the automatic route". The UNCTAD report said that even though digital multinational enterprises - Internet and e-commerce platforms such as Uber, Instagram and Facebook - witnessed "dramatic" growth over the past few years, more than 60 of the top 100 such ventures were concentrated in three countries - the US, the UK and Germany, leaving much room to grow elsewhere. It said only four companies in the top 100 were based in developing nations. "The digital economy has important implications for investment, and investment is crucial for digital development," UNCTAD Secretary-General Mukhisa Kituyi said. "(However) developing countries cannot be left behind. We need to create enabling policies that close the digital divide in global investment," Mr Kituyi said. The divide also held true for affiliates of those top 100 ventures as only 13 per cent were based in developing and transition economies, compared to about 30 per cent overall. In terms of business and operations, digital multinational enterprises recorded about 70 per cent of their sales abroad but only 40 per cent of their assets were based outside their home countries, resulting in fewer jobs created directly in host countries. However, such investments can increase competition and spur digital development, UNCTAD said, emphasising the need for regulations and policies for the promotion of investment that consider the new cross-border operating models of multinationals as well as those that strengthen digital development strategies. Digital development in all countries, and particularly the participation of developing countries in the global digital economy, calls for targeted investment policies to build connectivity infrastructure, promote digital firms and support digitalisation of the broader economy. "This means creating and maintaining a conducive regulatory framework for digital firms, as well as active support measures, which may include establishing technology or innovation hubs, building or improving e-government services, and supporting venture capital funding and other innovative financing approaches," it added.